Lost in the endless streets and wandering through the city? Enjoy this challenging puzzle inspired by the children’s carpet and hang the puzzle illustration wherever you choose. You can trust us – it fits everywhere. 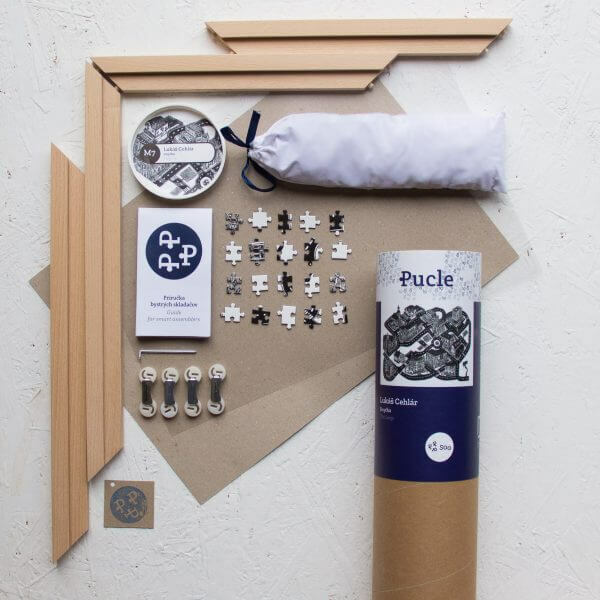 Beautiful puzzle with illustration by Lukáš Cehľár. 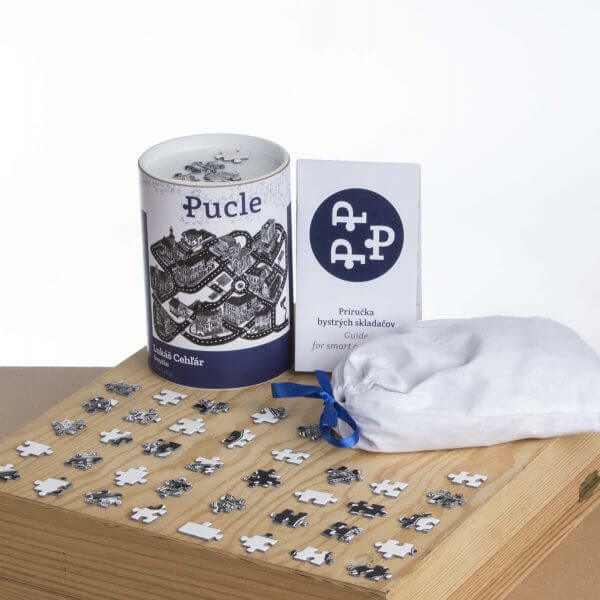 The puzzles are available in 500 pieces version and the package includes a solid wooden beech frame with components. You don’t need to glue the puzzle after assembling. Thanks to our special frame, you just lock it in and you can disassemble the frame and the puzzle anytime. And assemble again, just like an everlasting jigsaw! You can also order puzzle as a separate puzzle without the frame in 500 pieces version. If interested, you can order the frame separately at any time later in our shop. 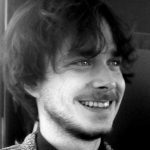 Lukáš Cehľár (1990) is an illustrator, graduate of the Academy of Fine Arts in Bratislava, a studio of free graphic and illustration under the leadership of prof. Dušan Kállay. 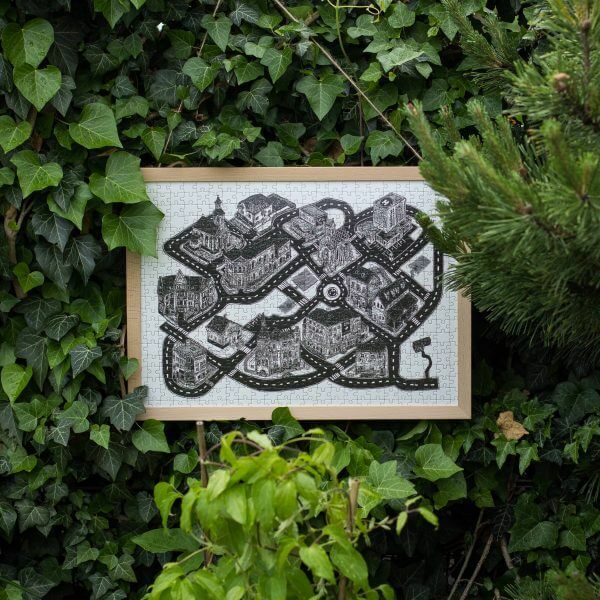 His work, with a basis in drawings, builds on traditional graphic techniques, mostly linocut. 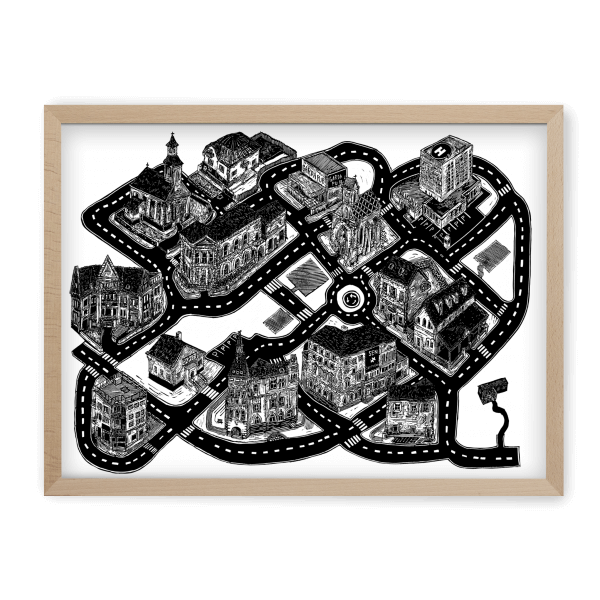 For Pucle, we have a black-and-white linocut called The loop. This large-format graphic is a continuous circle, an endless closed labyrinth in which we are endlessly losing and finding ourselves. 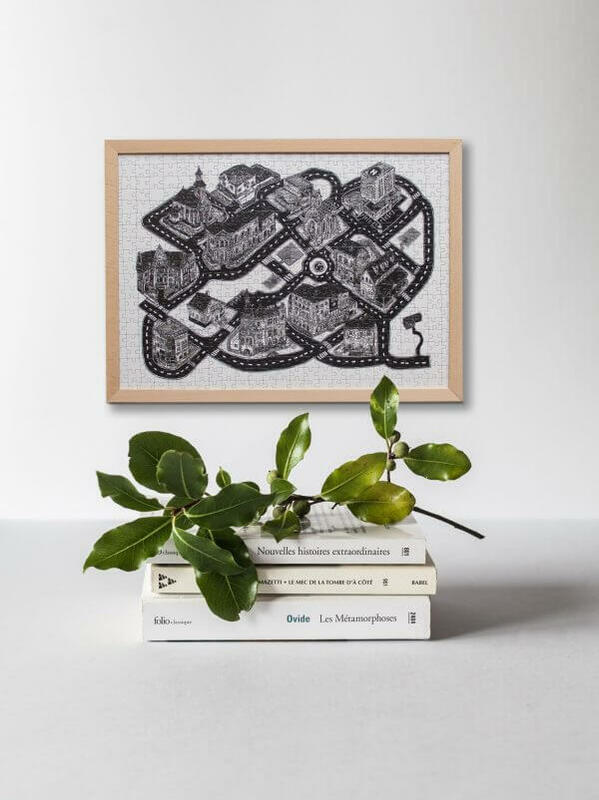 It is inspired by a children´s carpet, made especially for playful adults, who may know many of these buildings and maybe they even got lost in them a few times.